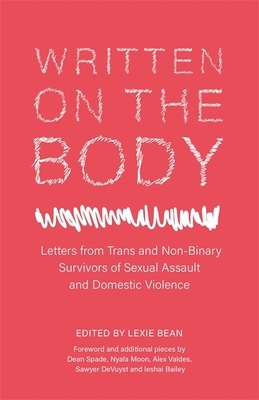 This collection of letters written to body parts weaves together narratives of gender, identity, and abuse. It is the coming together of those who have been fragmented and often met with disbelief. The book holds the concerns and truths that many trans people share while offering space for dialogue and reclamation. Written with intelligence and intimacy, this book is for those who have found power in re-shaping their bodies, families, and lives. Lexie Bean is a freelance writer for Teen Vogue and a performer. They have edited two previous anthologies of letters, Attention: People with Body Parts and Portable Homes. They are based in New York.